Child Support Lawyers in Vancouver, B.C. This article sets out the basics of child support law in British Columbia. However, it does not offer legal advice. The information set out here is no substitute for a Vancouver child support lawyer. These issues are simple on the surface, but can become very complex very quickly. Don’t gamble with your financial future. 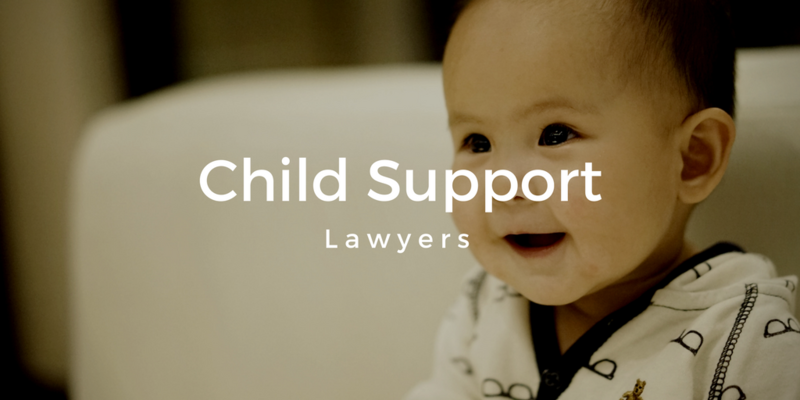 Call our Vancouver office at 604-670-5626 to schedule a free consultation and get the help of an experienced advocate: your own child support lawyer. What is Child Support in B.C.? Child support means payments made in support of children from one parent to another. In Canada, child support is mandatory under the Government of Canada’s Federal Child Support Guidelines. Child support is payable according to the Federal Child Support Guidelines where parents are separated, regardless of whether they are married, divorced, common-law, or in a casual relationship. Child support is the right of the child. That means neither parent can waive or agree to forego payment of child support that is due and payable under the Child Support Guidelines. The Family Law Act is the B.C. law that addresses child support. The Family Law Act replaces a number of earlier pieces of legislation dealing with divorce, maintenance, support and parenting. The Family Law Act ensures that married and unmarried spouses have the same rights. Read more here. Every situation is different, and the specific facts can make a tremendous difference in the amount of child support payable in a particular situation. A child support lawyer can help explain how the Act applies to your situation. How Child Support is Calculated in British Columbia? A number of different factors go into calculating child support payments under the Federal Guidelines. Our free online B.C. child support calculator can help you estimate your child support payments. However, the calculator only provides an estimate - our child support lawyers can explain how the law applies to your specific situation. The key factors are discussed below. Basic child support (also referred to as section 3 child support) is calculated according to the Federal Child Support Guidelines. The Guidelines provide a specific formula for calculating B.C. child support based on income and the number of children for whom support is payable. Our B.C. child support calculator is based on this formula. Where children live primarily with one parent, the other parent is required to pay child support based on their income. Such calculations are relatively straightforward. Where children live with both parents, and spend at least 40% of their time with each parent, parenting is said to be “shared” and child support is calculated based on the income of both parents. In these situations, the amount of support the lower earning parent would pay is subtracted from the support the higher-earning parent would pay. The net amount is what the higher-earning parent must normally pay. Combinations are possible. One child may go back and forth, while the other may live with only one parent. Our calculator makes it easy to run the numbers in these types of situations. Special expenses are unusual or extraordinary expenses beyond the basic costs associated with caring for children. These are often a flashpoint for conflict between separated parents, particularly where the parents have different views on what expenses are legitimate versus what is unnecessary. Special expenses are normally apportioned based on the relative income of each parent, according to a formula set out in the Federal Child Support Guidelines for British Columbia. There are many legal issues associated with disputed special expenses, and hundreds if not thousands of cases dealing with these issues across Canada. A child support lawyer can explain what principles will apply to your case. Child support disputes don’t necessarily have to end up in the courtroom. Mediation, negotiation and private arbitration can provide a much more affordable and timely resolution. While a trial can cost tens of thousands of dollars, a phone call between lawyers can often resolve the problem for a fraction of the cost. Our experience drives results. Contact us to learn how we can help you avoid disputes, resolve conflicts, protect your children and start your new life. We can help. To schedule a free consultation, call our Vancouver office direct at (604) 670-5626 or contact us through this website.